Take a nostalgic trip back to 1894, when this classic whisky-based cocktail was first created in New York. Angostura bitters is shaken with scotch and sweet vermouth and topped with a cherry. Sweet, strong and seriously good. What’s better than dark rum, cloudy apple juice, angostura bitters, soda and a brown sugar cube expertly mixed together? Nothing, that’s what. Treacle is one to rave about. A tongue-tingling triumph! Nina ritually blends a sugar cube with bourbon, soda, angostura bitters, ice and fresh mint leaves for a taste sensation. Our favourite summer aperitif. Light, refreshing and downright dreamy. 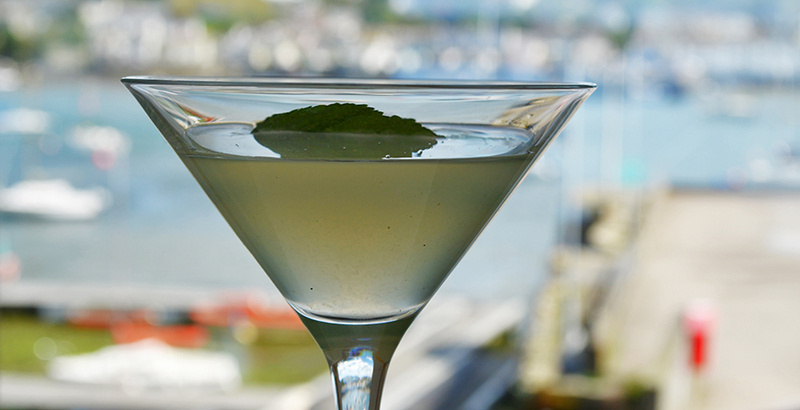 Southside is a zingy tonic of gin, mint leaves, fresh lime juice and sugar syrup served in a Martini glass. A cousin to the famous Mojito, Southside is the ultimate cocktail to enjoy on our sun-drenched terrace.